PHOTOGRAPHERS LEARN, FAIRLY EARLY ON, that he who controls the frame controls the conversation. The act of composition is really forced upon the artist, since every picture has some kind of hard physical limits or arbitrary dimensions. And since no photographic vista is truly unlimited, one’s vision is subject to two crucial choices: what to put in the frame, and what to leave out. This process is lovingly demonstrated in 2017’s glorious film Wonderstruck, a nostalgic observation on the art of presentation, specifically the way it has historically been practiced by traditional museums, those special places where we arrange, as do photographs, a version of reality. 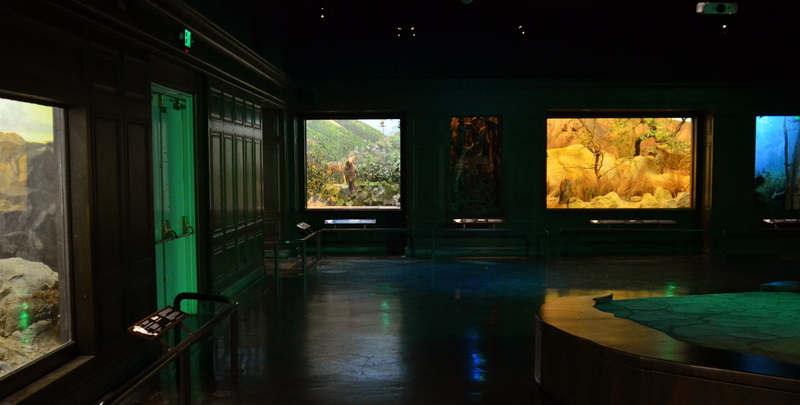 The film chiefly centers upon New York’s Museum of Natural History, whose legendary dioramas of global habitats have transported generations of young minds to a universe of savannahs, shores, and deserts, all trapped in backlit cubicles and arranged in grand halls, warehouses of worlds orchestrated in darkness. Here, in this supermarket of climates and locales, each diorama must convey its message in a shorthand of visual cues, hinting at entire ecosystems within a limited space and with only a modest number of props and textures. At their best, they echo the skills of the most effective of photographs, making eloquent choices on what is included, what is excluded, and whatever narrative power those choices generate in the finished product. Of course, Wonderstruck’s affection for the museums it honors (including Los Angeles’ Museum Of Natural History, shown here) is a valentine to an age that is quickly vanishing, its prosaic, passive vistas giving way to the buzz and flash of ever more interactive, “hands-on” experiences, an immersive engagement that can make the dioramas of old seem like silent movies. Still, if you can slow your absorption rate to pre-digital speeds, the old wonder boxes can still teach, because photographers are still bound by many of rules of engagement they observe. Don’t distract, attract: clarify your message: get the story told. Snapping an image is a fairly process. It takes time, real time, to learn to curate them. This entry was posted on December 26, 2017 by Michael Perkins. It was filed under Composition, darkness, Education and was tagged with Chiaroscuro, Low-light photography, Museums.